Mario Skoric is the Global Head of ALM within Allianz Investment Management SE in the Munich office. From 2013 till 2015 he headed the Global Life & Health and Pensions ALM Team, with responsibility for SAA based on Solvency II and product requirements. Before that, from 2010 till 2013 he was leading the Global Property & Casualty ALM Team, where he was in charge of implementing a central steering framework for investments. 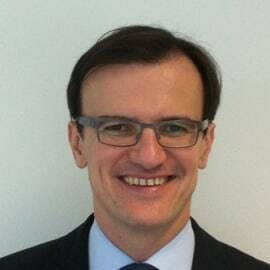 From 2007 to 2010 Mario Skoric was part of the German Investment Management Team overseeing the PC investment portfolio. In the first part of his career, he was working for the Finance Department of Allianz where he was in charge of risk based steering of investments. Mario Skoric holds a master's degree in business administration from Ludwig-Maximilian University in Munich and is a CFA charterholder.